Rent is collected monthly or termly and is payable by either cheque or standing order. A deposit is due on signing of the contract and it is protected under a Tenancy Deposit Scheme which will arbitrate in the event of any disputes. 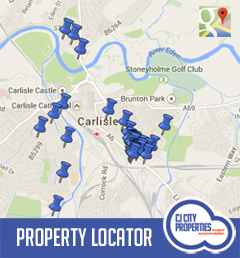 We are members of the NLA, UKALA (UK Association of Letting Agents), ARLA, FSB, The Property Ombudsman, have signed the University of Cumbria’s code of practice and have our properties regularly inspected by Carlisle City Council. We also offer various property management services, from finding tenants to full management services along with Leasehold Management. We charge our Clients 15% of any rent taken under full management. We charge our Clients 10% on top of any maintenance carried out on their behalf. Depending on the size of the deposit we charge our Tenants £30 to £35 at the time of contract signing. Tenancy deposit law was introduced on 6th April 2007 and provides protection for tenants by preventing landlords and letting agents from unfairly withholding a deposit. The scheme protects all Assured Shorthold Tenancies in England and Wales (covering most tenancies since 1997). We protect our deposits through the my deposits scheme, for more details see mydeposits. Start of a new tenancy: At the beginning of a new tenancy agreement, pay your deposit to your landlord or agent as usual. You have a responsibility to return the property in the same condition that it was let to you, allowing for fair wear and tear. At the end of the tenancy, check whether you are leaving the property and its contents in the condition in which it was let to you – allowing for fair wear and tear- and check that you have paid your rent and any other expenses. Then agree with your landlord or agent how much of the deposit should be returned to you. Within 10 days – you should have received the agreed amount of the deposit.